Owing to LMC’s site issues I’ve had to put this here for now, but I thought it right to quickly note down from my side a few thoughts on the news. LMC used to be Sonic Wrecks after all which was co-creator of the Summer of Sonic event. I’m kinda saying I did things at it. 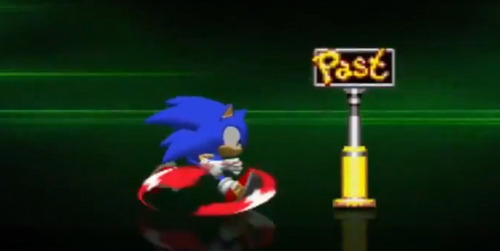 Anyway, so now we all know, there will be no Summer of Sonic in 2014. I’m sure you fans, like myself, are very disappointed in that news. Despite not being an active member of the team nowadays I do keep a very close eye on SOS related things. It means A LOT to me. (Actually I did secretly staff at SOS’13 from lunchtime so people could go on break. Just don’t tell SEGA, ok? They may get upset or retcon it or something. 😉 ) I said on the SEGA Nerds Nerdcast recently I’m like SOS’s crotchety old grandfather, that’s very far from accurate in hindsight. I am though, with Svend, a proud parent watching from a distance protectively and making sure everything is okay. SOS has Daddy’s eyes, incidentally. concerned about the lack of SOS related updates. It has always been the case, of course, that the team has always looked at SOS with a ‘we’ll wait and see’ approach. The one exception to this being that of the 20th anniversary linked con in 2011. This is all partly because SEGA have to want to pay for SOS to occur, funnily enough, it also has to fit in with their needs AND with the lives of the people who run it and put it together. It takes a lot of organisation to make a Summer of Sonic happen, and if you caught the aforementioned Nerdcast with Adam, Rory, Svend and myself you’ll have heard all about this and just how much it does take out of us personally. A sacrifice everyone happily makes of course but one that does grind after a while. Simply put a lot of guys have mentioned they felt a bit burnt out by the SOS treadmill or are just not able to put as much time as they used to into helping out. Adam (I think) made a far too true point during that interview, that a while back we all realised we only really saw each other at SOS. When the heck did the option to sit down with our friends take a complete backseat to this? – and for those who want to attend (i.e. you) to organise yourselves. – SEGA having recently axed two Sonic related staff who are key links between SEGA Europe and the SOS team (considering the staff concerned, a bloody stupid move imo) which isn’t exactly going to make the process easy. – The core staff are cream crackered. Add to that this is the year of Sonic Boom, an important one for SEGA West’s strategy going forward and one that needs proper attention – BUT I’m honestly not sure how Europe comes into play with this in 2014. So with all these points lets have everyone UK based – the awesome team they have, Adam, Rory and all the others – recharge their batteries and come back in 2015 with new things to enjoy. And new new new Pepsi. This is not the end of Summer of Sonic, oh no, consider it on a well deserved vacation. Somewhere hot and sunny, but not full of quicksand, murderous robots and crumbling ruins that will chase you down hills. However for those of you pining for the SOS show, maybe, jussssst maybe we can sort something out. Ever seen the Italian Job? Hold on a minute lads… I’ve got an idea.